Early indications can include: strengths in math, building, geometry, problem-solving and imaginative play, and creative abilities; difficulties with speech and language, slow speech development, difficulty following instructions; problems with memory and sequencing, trouble learning nursery rhymes, putting toys in a pattern or getting dressed, finding it hard to carry out two or three tasks in a sequence; poor concentration, being easily distracted; trouble discriminating between letter sounds (van/fan); trouble with gross & fine motor skills, didn’t crawl well or stumbles, can’t use scissors, slow development of dominant hand; has a hard time with orientation (left/right) and direction (reverse order, backwards writing). Draw lines in the sand or on paper, practicing the right-to-left pattern for reading. Practice spelling words with magnetic letters on the fridge, or with clay. Sometimes being able to feel the letters helps. Write your words in large letters on cardboard, then cut them out. Cut each word into pieces, like a puzzle. Look at the pieces & try to fit them back into words. You can also illustrate the words if you like. Make each letter as you spell the word by forming your body into the letter! Fun and active. Tap the table to separate words into their syllables, or into separate letters (one tap for c, one for a, one for t). Read your book in slow-motion or sing the words. You don’t have to follow a tune, but Jingle Bells or Happy Birthday work well. As you find new words, write them down on a piece of paper with a short description. Put the pieces of paper in a jar. At the end of the week, one “judge” will take all the words out to read; the one they choose as the winner gets a prize for the person who discovered it! Say a sentence out loud. Then collect a block for every word you hear, then repeat the sentence while stacking the blocks in a tower. Make spelling cards with at least 3 variations of a spelling word, only one of them correct (for example, Family, Famlie, Famely). Draw faces, hats, beards, etc. to make them look like people. Lay them out in a line-up and then pick the one that is correct. You could arrest the others, or send them to jail. Read along with your child. They will hear your pronunciation of new words and your changes in voice as you are excited, scared, or happy. Pick up a book on CD! Hearing a story is just as good as reading it yourself sometimes. 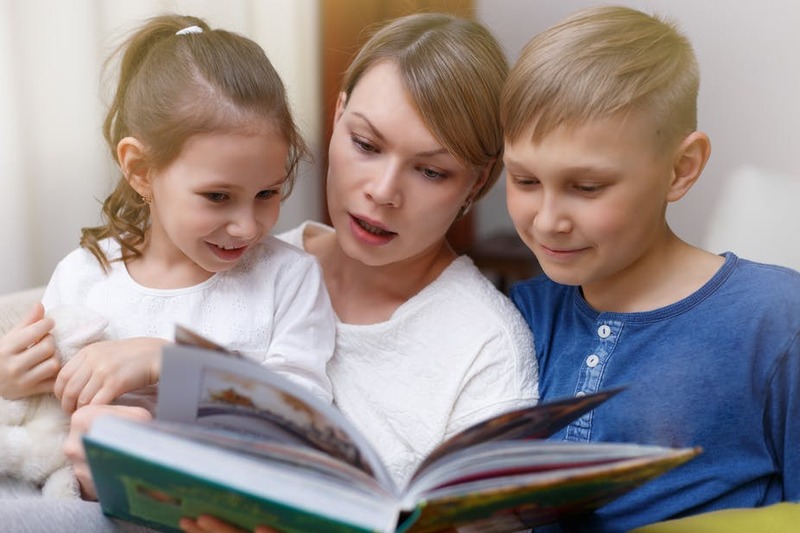 Conversation with adults brings many skills to dyslexic children: vocabulary building, developing transferrable conversation skills, using high-level thinking and context development. Ask for: retelling of events (helps with sequencing), summarizing of the day (thinking skills), the best word for something (word retrieval), and their opinions on a subject (critical thinking). Also make sure to discuss feelings, especially how others might feel – empathy is a skill that can be built up with practice! With help, Dyslexia can be treated. Check out these resources for more information. https://www.nessy.com/us/ – website; also have an app! Hairy Letters by Nessy.